Islamic State, ISIS, ISIL or Daesh? : NPR Public Editor Listeners weigh in on what we should call the terrorist group responsible for the Paris attacks. A man takes a picture of the Eiffel Tower illuminated in the French colors in honor of the victims of the attacks on Friday in Paris. In the wake of the recent terrorist attacks in Paris and Beirut, I've heard from a number of listeners who want NPR to start referring to the extremist group that has been identified by French authorities as the perpetrator by the name "Daesh." Current NPR policy, as at many major English-language media outlets, is to refer to the group as "Islamic State" — which is a shortened version of the English translation of what it calls itself — with the option to add the caveats "self-described" or "self-declared." NPR also uses "ISIS," which stands for a fuller version of the group's name in English, "Islamic State in Iraq and al-Sham." President Obama and most other U.S. officials generally use "ISIL," for another variation of what the group has called itself, the "Islamic State in Iraq and the Levant," although U.S. Secretary of State John Kerry uses "Daesh." "Daesh" is an acronym created out of the group's full Arabic name, "al-Dawla al-Islamiya fi al-Iraq wa al-Sham." The listeners' arguments for why NPR should switch are varied. Terence Kelly, of Palo Alto, Calif., wrote with praise for NPR's Paris coverage but asked, "why does NPR use 'ISIS' instead of 'Daesh'? Are you validating the declaration by Abu Bakr al-Baghdadi [the group's leader] that there is a state even when it is not recognized by anyone?" Jennings Heilig of Abingdon, Va., wrote, "To use their name for their organization lends credibility to their claims of a caliphate." Joseph Devney of Oakland, Calif., was persuaded by a June op-ed piece in the U.K.'s The Independent, from an activist who argued "They are neither a 'state' nor 'Islamic': Why we shouldn't call them Isis, Isil or IS." Karla Fisk of New York City cited a year-old Boston Globe opinion piece, adding, "'DAESH' is a correct acronym, but has a derogatory connotation and implies 'violent thug'." Donna Lucas of West Richland, Wash., referred to an article by French media outlet France24 that explained how French officials have adopted the name. Two listeners, meanwhile, suggest dropping "ISIS" because of its association with the ancient Egyptian goddess of the same name. "The English name for the Islamic State should not be used to describe this revered figure whom some continue to worship even today," wrote Michael Hitzelberger of Minneapolis, Minn. Terence P. Ward, of Middletown, N.Y., wrote that as a reporter covering the "Pagan, Heathen, and polytheist communities, I am privy to reports of people being questioned by law enforcement due to being known worshipers of the goddess Isis." The primary reason we use the words "Islamic State" is because they are the clearest and most succinct English translation of the group's name. We advise our journalists to remind listeners and Web users that it is a "self-described" or "self-declared" Islamic State to make clear that the organization is not a "state" in the usual sense of that word, even though it claims to be one. On second reference, we use the acronym ISIS because it is based on that English translation of the group's full name – the Islamic State of Iraq and Syria (or al-Sham). President Obama and many U.S. officials use the acronym ISIL, which is based on another form of the group's name – the Islamic State of Iraq and the Levant. If they do and their words are in our reports, we explain that they are using another acronym for the organization. Daesh, he wrote, "is in use in Arab nations. But it is the least familiar, to American audiences, of the names taken or given to the group. There have been reports that ISIS leaders do not like the name Daesh. We don't know if that's true and their feelings don't factor into our thinking anyway." As for reports that Daesh is a derogatory term, Memmott wrote: "Reporting shows that isn't accurate. Al-Jazeera's Abderrahim Foukara this week spoke on Here and Now about how the word rhymes with many derogatory or negative Arabic words, but on its own is just an acronym." Public Radio International's The World in Words also has a fuller exploration of the names. I'm all for clarity. "Islamic State" is both the group's name and something that has become familiar to American listeners and readers. There are times where NPR avoids using an organization's name, as with the Washington, D.C., pro football team. But even in that case the name has not been banned, because, as Memmott said, "The team's name is the name and our job is to report on the world as it is, not to take a position or become part of the story." 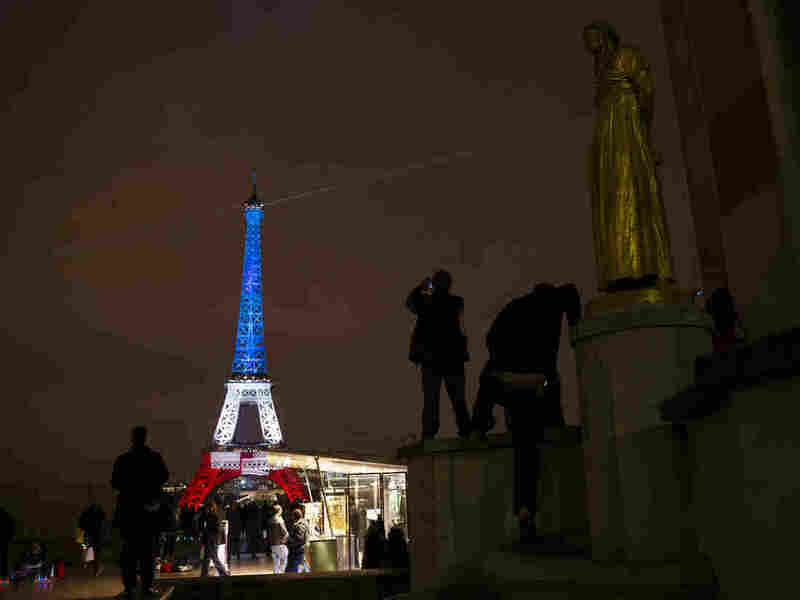 In particular, as false reports about the events in Paris ricocheted around the web and social media on Friday night, NPR's coverage stayed with the facts. Despite the chaotic reporting situation, there were no major mistakes, no reports of, say, the number of dead that had to be walked back. Newsroom employees told me that was partly due to a new system for sharing information internally, which lays out the wording that the on-air and online staff should use and where the information comes from. Finally, some listeners wanted to know why NPR gave relatively little coverage to two suicide bombs in Beirut on Thursday, for which ISIS also claimed responsibility, compared to the extensive coverage of the Paris attacks. NPR did cover the Beirut story, on Morning Edition, All Things Considered and online, and there were numerous references to the Lebanon attacks scattered throughout the Paris coverage. The emphasis was, however, on Paris, as it was elsewhere in the U.S. media. NPR media reporter David Folkenflik explored some of the reasons why that might be. Weekend All Things Considered host Michel Martin, meanwhile, ended Sunday's show with a thoughtful commentary on the value of all lives lost to terrorism in recent days. This post has been updated to reflect the nuances of the current NPR policy regarding the caveats "self-described" or "self-declared."